Find yourself with an empty summer and a yearning to travel? Fear not, we hear you. Here are just 7 places to hit up should you be looking for a Catholic adventure this summer. One of my favourite places of pilgrimage is Santiago de Compostela in Northern Spain. I have only been there once, but the experience was both powerful and memorable – not least because it took me a month to get there! Santiago de Compostela is the burial place of St James; whose relics are held in the Cathedral there. And, whilst you may journey straight to Santiago itself, the pilgrimage is probably most famous for the “camino” (path) that one takes to get there. There are various routes that you can walk to get to this holy site, all of varying lengths, and all passing through different regions in Spain. When I did it, back in 2011, I took the most popular route which starts off on the French side of the Pyrenees at St Jean Pied-de-Port; the route is known as the “Camino Frances” – around 800km of walking! It is a truly beautiful experience to journey to Santiago de Compostela; encountering the abundant culture of Spain. Whether you go on your own or in a group, you find that you have a unique opportunity to deepen your own prayer life as you make your way! Take some time off work, and check it out! 100 years ago Our Lady appeared to three shepherd children and urged them to pray for poor sinners. Fatima has always been a place I’d wanted to go to and being the centennial made it seem even more special. Until November, you can gain a plenary indulgence by going on pilgrimage to Fatima or praying before a statue of Our Lady of Fatima. One of the most amazing things about Fatima was the deep peace I felt there. I especially felt it in the places where Our Lady appeared and by the children’s tombs. I felt really close to the children, like they were encouraging me to pray and praying with me. I particularly felt a closeness to Francisco- a little boy who initially struggled with prayer but became so determined for holiness that he would sacrifice playtimes with other children so that he could pray the Rosary instead. The Stations of the Cross stretch over some of the more mountainous part of Fatima. Walking around those parts helped me to visualise what Fatima would have looked like to the three children. We also visited their houses where you can understand a little better what it must have been like to be in these children’s shoes. But inevitably, I was hit with the “I’m tired of praying” feeling. I’d prayed more Rosaries in a day than I’d ever managed before, been to two Masses, and felt like I’d had enough. The example of the Fatima children pulled me through and I went back to the apparitions chapel at night to pray one last five decades. Going to Fatima reminded me just how important the Rosary is. The Mass is the most powerful prayer we have but we can’t underestimate the power of the Rosary- A prayer which Our Lady gave us herself. The pilgrimage also inspired me to pray for other people more. It can be easy just to focus on my own life and worries, but praying for those most in need is what Our Lady urges us to do. Fatima is a very special place for a pilgrimage with a powerful message. Also, it’s so tiny that it only takes a day or two to see everything! I know what you're thinking. 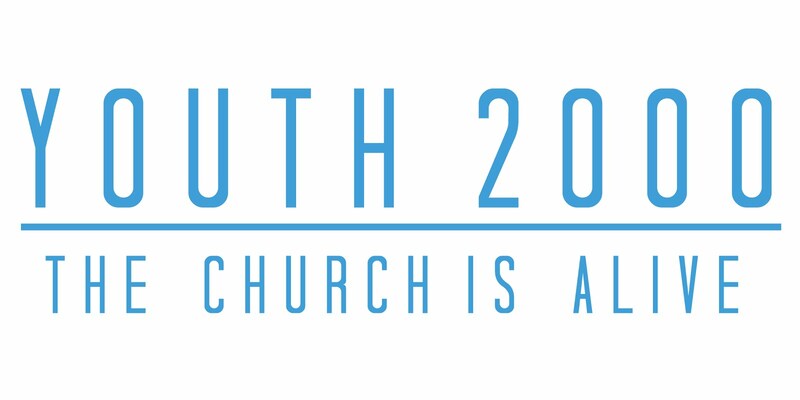 'This guy totally just went to World Youth Day and is hoping we won't notice...' It's true, my only experience of Krakow was after a long international coach journey last July surrounded by friends. 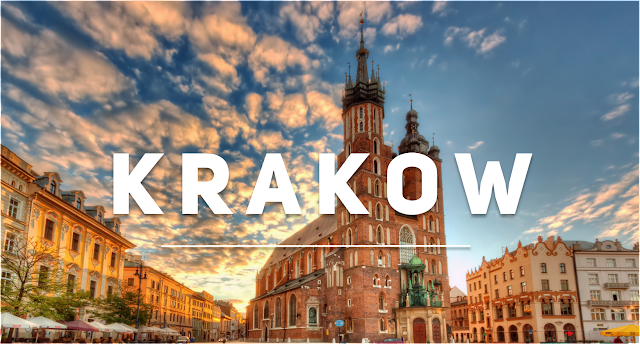 However, so much of what made that time great was Krakow itself, just small enough to get to know well in a week and just big enough to keep its mystery. I had quite a few Polish student friends out there who acted as our guides/translators over WYD and who took great joy in showing us the shot bars of the side streets, the restaurants of the Jewish quarter and the things you would overlook otherwise. For so many years, for me, a summer wasn't complete if I hadn't been on the diocesan pilgrimage to this shrine of Our Lady in southern France. Going at 16 with my diocesan youth service, it was more about the social aspect; finally engaging with other young Catholics, finally realising other young Catholics also liked a drink, a party, and being united in our struggles of the early get ups for mass, rather than the history of the sacred place. I will argue, however, that it's these friendships I formed over a drink after a long, long day assisting the sick and elderly on their pilgrimage, that help make up the foundations my own personal faith is built upon. When I was 22, though, not many of my immediate friendship group were able to make the pilgrimage. And yet, the longing in my heart was there, possibly more than ever. But why?! When Our Lady appeared there to St. Bernadette in 1858, she asked the peasant girl to drink from the spring and wash in it. While it is claimed the water has healing properties, and there have been many documented miraculous healings, St. Bernadette herself said that “one must have faith and pray; the water will have no virtue without faith.” And how these prayerful, faithful pilgrims have flocked to Lourdes. Millions each year; many sick, disabled, frail and elderly. The able bodied pilgrims, therefore, as I would be, are needed to assist these pilgrims on their journeys. It consists of long days pushing wheelchairs; caring, nursing, giving. Giving all the energy you have to make sure your pilgrim is able to make it to the Grotto, to lay their prayer requests at the feet of Our Lady, to get them to the baths to bathe in the water, to get them to whichever chapel or basilica mass is being said at, and to provide companionship. I needed to return to Lourdes summer after summer because as humans, we are made to love God and to serve God. 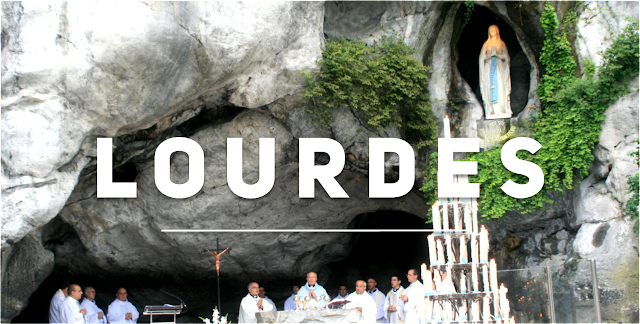 In Lourdes you're there wholly to lay yourself at the feet of the most vulnerable, and the reward is indescribable. It will come from the joy in the other pilgrims faces when you've spent 3 hours chatting to them- the longest face to face conversation they've had in months, it will come from the sense of community and unity processing with your diocese/group to the shrine, it will come from the closeness you feel to Christ knowing you're truly doing His will. If you're ever given the opportunity to spend time in Lourdes serving the sick, I can't encourage you any more to take it up. Just do it!! I went to Medugorje recently, and it changed the way I pray completely. Tucked away in part of the world that most people have never heard of, it’s an oasis of peace. If you feel like your prayer life needs a bit of a revamp, get thee to Medj! There are two hills to climb: apparition hill, and cross mountain (it's pretty much a hill). Apparition hill has the Joyful, Sorrowful, and Glorious mysteries in beautiful plaques as you ascend and descend the hill. The views are beautiful, and it's so peaceful that you can't help but be swept into the life of Jesus with Mary as you walk. Cross mountain has the stations of the cross as you go up. This hill is steeper, but again peaceful - even in the rain! When you get to the top there is a quiet place of prayer around a cross, and you can bask in the glory of the view. Mountains and high places are places where God makes promises to us - in both the old and new testaments you'll find examples of this - and I realised why when I was up those hills: you feel halfway to heaven, especially in that place of prayer. God is always reaching out to us, and making the effort to go up a mountain and meet him is a physical and spiritual effort on our part to reach up to Him. Since coming back from Medugorje, my prayer life has blossomed, and I've been given a beautiful sense of peace. If you need a retreat from the hectic busyness of your life, Medugorje is a great place to go. I went to Rome during the Summer of my first year of uni. I was 19, I had just finished my first 9 months away from home living independently, and I decided to push that independence even further by interrailing around Europe for a month with my flatmate. As first time travellers, of course we had many a hiccups, but the day we went to the Vatican, we were both left speechless at the amazing beauty within the walls of the city, and to pray in St Peter’s Basilica was an experience neither of us will ever forget. However, when we reminisced about our whole month travelling, when we looked back on Rome, we both agreed that the most unforgettable and life-changing experience was in fact not the Vatican, or the Colosseum, or any of the things we had read about in travel guides before planning our trip, but instead both recalled the amazing church and crypts we stumbled upon by accident. It was on our last day that we found Santa Maria della Concezione dei Cappuccini (Our Lady of the Conception of the Capuchins), a church with the most breath-taking art devoted to the Virgin Mary, and below were the most fascinating crypts, adorned completely with the bones of the Capuchin monks who had died there. It is said that the friars used to go down to the crypts every night to pray before bed, and on the wall there was a plaque in three languages, stating, "What you are now, we once were; what we are now, you shall be." My flatmate and I were so intrigued by the whole experience, and I remember thinking, if someone had told me about this place it would have sounded sinister and a little creepy (okay, a lot creepy), but being there, it was amazing. It had such a prayerful environment, and I walked away so full of gratitude for my health, my life, and my faith. Rome was the perfect starting point for our month around Europe, fuelling me with vitality for life, and complete peace and faith in all the Lord had planned. And I think the Nutella gelato counts as a spiritual experience too. 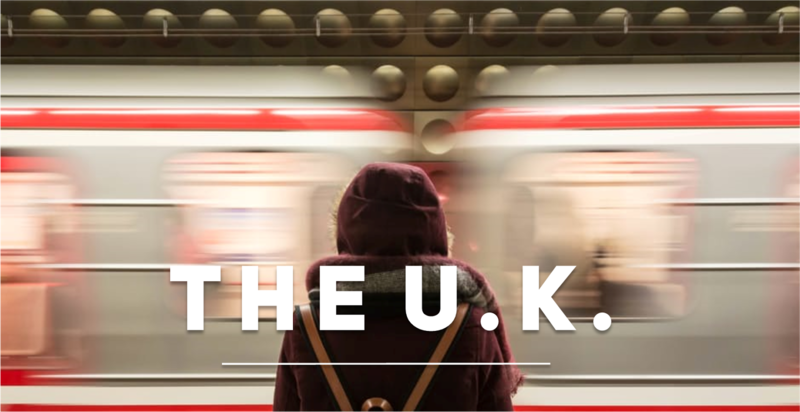 So budgets are a thing, and so is lack of time, but that’s no worry as the U.K. is full of amazing places to go on both mini and longer pilgrimages. We've got cathedrals, abbeys and monasteries all over our own country! They are beautiful, fantastic places to pray and appreciate God through beauty and art. You can even do it in you home town. I love taking the time to walk around Newcastle having a spare half hour and chilling in a church. Pilgrims walk and you don’t need to do the Camino to do that, you can go any where in this country, taking the time to appreciate nature, and say a rosary, offering up your walk. 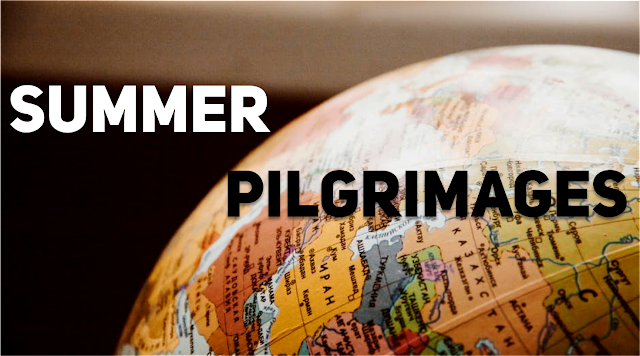 In fact, there are even ancient pilgrim routes all over the country including St Cuthbert’s way in Scotland and Northumberland following the route his body took to escape the Viking horde! I'd think of Holy Island and Lindisfarne off the coast of Northumberland too, places steeped in history of prayer and faith. So even if you can not make it to Lourdes, Rome or other amazing places of pilgrimage, just pop outside and be a pilgrim in a not so foreign land.